The last couple of weeks have been a bit of a roller coaster ride. One moment things are all ticketyboo and the outlook optimistic and the next it’s all brought down to earth with a nasty bump. Yes, eating out in London really is a risky business. Still it’s what DH do and we wouldn’t have it any other way. One of my highlights recently was a rather lovely lunch at new Spanish restaurant Tierra Brindisa in Soho. I remarked then that there was some sort of critical mass of tapas bars developing in W1 that would make a crawl (almost) possible. Now just North of Oxford Street in Fitzrovia another joint has opened. Iberica is promising to be more than a tapas bar though, more a sort of showcase of Spanish culture and food. The food shop seems to be up and running and according to the blurb a restaurant is opening soon. The tapas bar in London has been raised several notches over the past year and we’re now seeing a combination of great ingredients allied to excellent technique. We still lack the sheer variety of animal parts (where are the bull’s testicles ?) and the seafood selection is usually pretty prosaic. The prices can be stiff too but overall it’s a great improvement over many of the old school places. How disappointing then that Iberica is a big step backwards into the grim past. It’s not so much the ordinary menu – even plain sounding dishes can be wonderful – but the preparation was just, well, not very good. 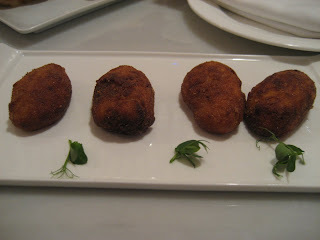 Croquetas, expensive at £6, were overcooked on the outside. The inside was creamy but sort of sickly – these were far inferior to the ones I’d had at Brindisa. 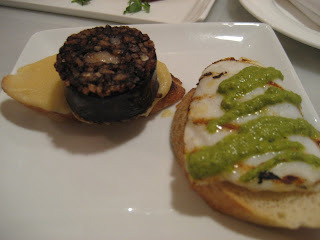 The topping for the Pinchos, some Squid and Morcilla was ok but the bread was inedible, cheap and nasty. Jamón from Guijuelo was cut ok apart from some dried bits, but it didn’t have that velvety texture and deep nutty flavour of the best. Unjustifiably overpriced as well. Pescadito Frito was a travesty of a dish that the Andalucians call their own. 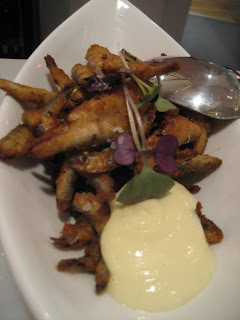 It was really just some Whitebait which hadn’t been fried properly. The taste of oil stayed with me way longer than was strictly necessary. 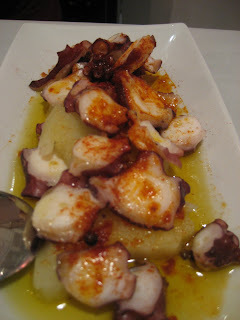 Pulpo hadn’t been messed around with too much and was consequently edible. A dispiriting experience was made worse by service that was all over the place – the waiters seemed more interested in chatting with their amigos – and long waits for the food and the bill. 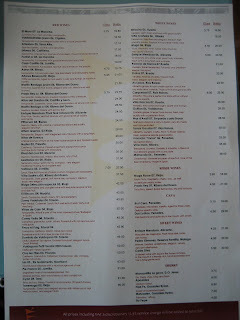 To be honest when we go on one of our Iberian adventures we do come across similar bars with similar cooking. The difference is that they’re not that many of them (the competition means they wouldn’t last long), the cost is usually a lot less and we only stay for one dish. “Harmless” is how we usually describe such an experience. At the prices here though, Iberica is anything but. Oh, and before anybody starts whining about me having visited too soon, Iberica has been open for about two weeks and it’s still duff (and I don’t mean the beer). So there. I have been to Iberica many times and strongly disagree with the comments made here. The croquetas are outstanding. I have never tasted this good in any other restaurant. Not only they are tasty but full of a delicious flavour. In addition I believe that the Patatas Bravas are amazing. They are a good dish with plenty to eat and spicy in the right measure. 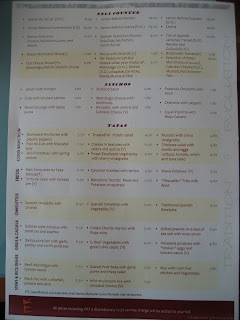 Also, some of the new tapas, specially the ones with chicken are just wonderful. 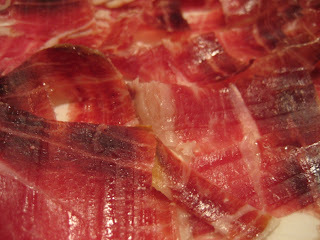 Lastly the cheese and the jamon serrano are off high quality and varied. The location of the place is more than perfect next to a beautiful area in Great Portland Street. 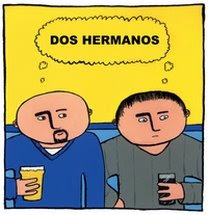 Im a Spanish living in London and so I tend to keep an eye out for new Spanish places to try around the area. 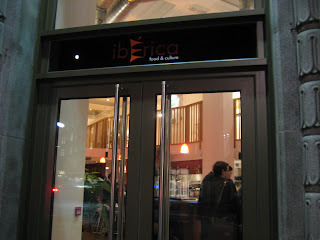 I have been to Iberica a couple of times now and I have always had a good experience! Aside from the fact that the place is beautiful, the service was very friendly and the food was great. The Black rice was delicious as are the Tortillas Espanolas and especially the Croquetas! They were so creamy and yummy! Pity you guys didn't have a good experience because the place is fab! Sorry, but I must ask, are you two on one ? Iberica's interior looks like a Foxtons Estate Agent (don't see many of those around these days) and Gt Portland St is what it is - a characterless stretch of road in Central London. Neither could be described as 'beautiful'. And if you're going shill somewhere convincingly it's always best to do it in your native language - I might have bought it if you'd written in Castellano. I have to agree with you hermano 1, Great Portland Street is not a "beatiful" place, but what are we talking about? Food, interior design, the best placement for a restaurant? Actually the view from the windows of the place is not really pleasant but the interior is not so bad, a bit cold in my opinion. But talking about food is other thing,I've been there a couple of times and I didn't have the same impression than you "brother", it's true than in your picture the croquetas look overfried, but it didn't happen to me, and if you are going to compare them with Brindisa ones, Ibericas are creamier than these, look at your pictures if you want, and if you want, you can read the last Time Out and the critical that they made of Brindisa's croquetas. The rest of the plates, could be a bit generous, but the quality is not so bad, it's on the average of London spanish restaurants at least. And the prices, I don't like to talk about prices in London, I have enough paying my flat rent. 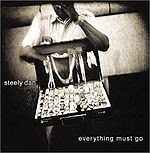 But you can say, it's my opinion, so good so bad than yours. 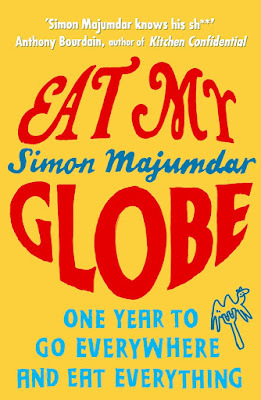 As you said, before someone tell you it was too soon, but at least to be write about a place you should visit at least more than once, I guess good critics do it. You do realise that unlike magazines and newspapers we have to pay for meals out of our own pockets ? So why on earth would I ever return to somewhere where I had such a poor experience in the first place ? 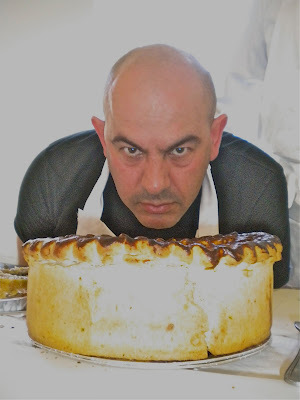 Maybe because is fair, and if you wish to be taken seriously as food critical you must do it this way. If you go to Ibiza for holidays and you had got a bad weather, would you think that is a bad place for holidays? Even if other people tell you the opposite, and had good experiences? Or you'd rather patronize them, wouldn't you? I don't think it was fair of the restaurant to extract so much money from me for such mediocre food. But there you go. PS I don't want to be a food critic - I've already got a day job, thank you. PPS I visit Spain frequently and poor meals (rare) and bad weather (equally rare) have never put me off returning. I've had dinner at Iberica tonight. I was surfing on the web looking for more information, and I found its critique in your website. I am very glad I didn't read your critique before. I disagree with you review about the food at Iberica. 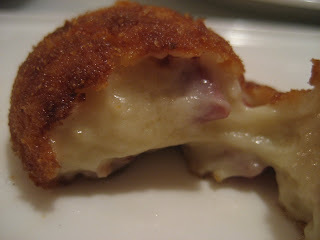 I had croquetas and they were really nice; homemade, creamy and tasty croquetas. The calamares and the scrambled eggs with cabrales were just outstanding. I had arroz con leche for dessert; it was nicer than any arroz con leche that I've had in Spain before. About the customer service, I personally enjoyed the familiar/Spanish environment, and I felt very well traited by the staff there. For those enjoying nice food and good service, I strongly recomend this place! I'm very glad they seem to have got their act together because my experience was pretty dispiriting and expensive. 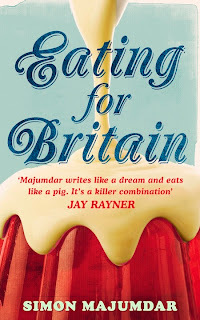 I still think if you're going to pay the prices Iberica are charging you're better off going to somewhere like Barrafina, Brindisa, Dehesa, or Salt Yard. There's also been an odd focus on croquetas. What about the duff fried fish and the rubbish bread ? 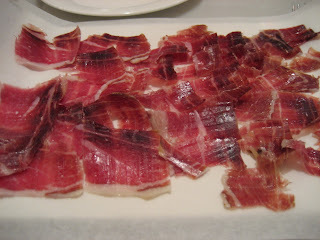 Iberica, another try to express Spanish Food & Culture in London. Very dissapointing as a Spaniard, expensive and lack of professionalism as consumer. Popped in there for a plate of jamon and a glass of wine. It wasn't particularly busy but the service seems a lot better than it did. Also their bread has improved. Disappointed that the ham wasn't cut to order but it had been kept between waxed paper and was poerly sliced. Expensive but decent. Blimey I might even go back for a meal some time.